A zero sugar chipotle and scorpion pepper sauce. This baby was designed for BBQ weather, with added wholegrain mustard for those bangers or burgers. Deep smokiness from the chipotle and a lasting warmth from the world record for Scoville heat, the scorpion pepper. 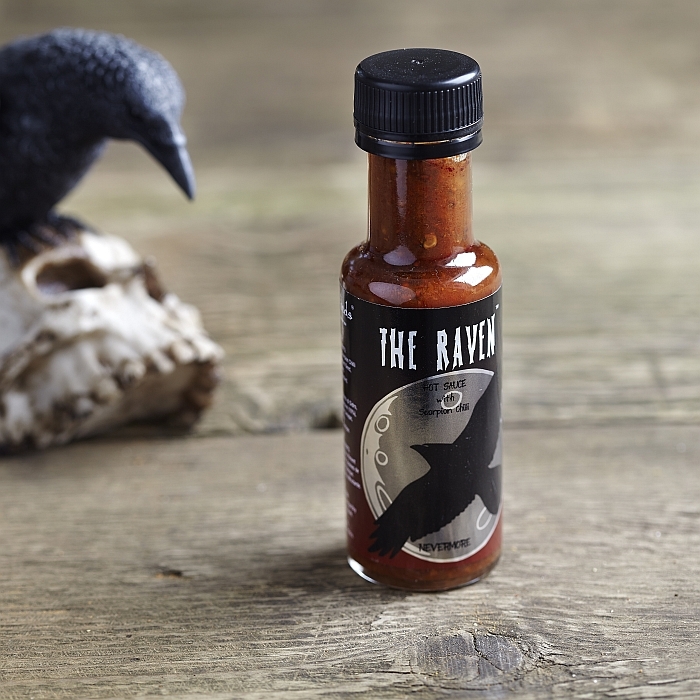 The Grim Reaper award winning sauces are available to buy in a 3-pack ; either 3 of the same sauce for real enthusiasts or choose a selection of the other sauces. Cyder Vinegar, Red Peppers, Water, Scorpion Chilli (10%), Chipotle Chilli, Onion, Mustard Seed, Garlic, Lime, Salt, Citric Acid. Great Selection of Sauces to suit everyone's tastes, and for those who like a pretty HOT Sauce i can especially recommend the Evil One, Maverick and the Raven all 5* the Alchemy likewise a 5* more of a Mild Sauce the others are still nice sauces 4*, definitely Recommend Grim Reaper Sauces Quality at Good Prices. Had these last year and as far as Chilli Chocolate goes they have a very nice flavor, with a nice amount of heat to them you can really taste the Ingredients. Recommended for that something a little special. I bought this as a gift for Christmas for my son and he absolutely loved them. He even let me try some! I really liked the floral geranium flavour you found in one of them too. Very nice, a great gift so thank you! This product is dispatched by Grim Reaper. This item has a shipping weight of between 999g and 999g depending on the options selected. Fiery foods from an award-winning indie producer!